Juniors Stroller Activity Friends | It has to be pulled for wiggling and can be rotated up to 360 degrees. 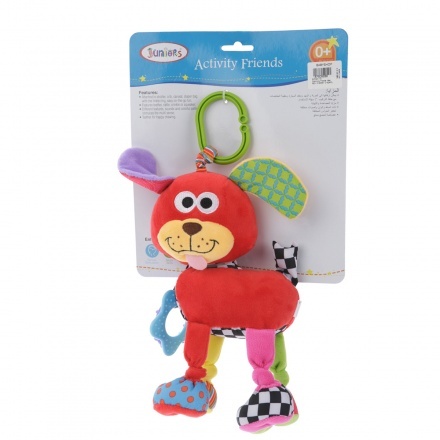 Clip this activity friend on your little one's stroller and watch him stay excited looking at it. Featuring a plush dog with colourful legs and checks, this toy has an easy clipper for attaching and is durable.